Sometimes change is hard – especially when you are going through a tough transition. Getting over trauma, a relationship, even struggling with your career can cause you to feel stuck and frustrated. You might be one of the most positive people and still get frustrated even unable to feel positive about your future. 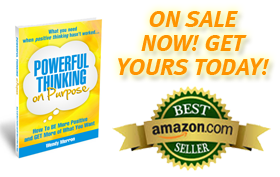 Learn The Powerful Way To Change Your Thinking. Your thoughts may feel like outside of your control. Things that you want to put behind you keep on coming up. And fears and worries just won’t go away. At The Center of Success we help people just like you. We teach the tools you need so you focus thoughts that help you be in control, while letting go of thoughts that no longer serve you. You will be able to do more and feel better while you improve your life by overcoming those negative thoughts that have kept you stuck. My goal is to empower you so that you can use these tools whenever you need them. Step by step you’ll learn self-hypnosis, future visualization, EFT tapping, and Thought Training. All proven tools that will change your thoughts, feelings, and attitudes so you can wake up optimistic – without worry taking over. “I have been a client of Wendy’s at The Center of Success for many years. Each time I have a personal challenge or problem that I need help with I go to her. I have found it much more helpful than traditional therapy. I always leave feeling as if a burden has been lifted off my shoulders – a wonderful feeling!” – Julia W.
Whether you are getting over a relationship, struggling with your career, or sabotaging yourself, learning how to direct the thoughts in your mind is key to creating the success you deserve. You’re invited to meet with me in person or online. Just click the button below to schedule a phone call or consultation.